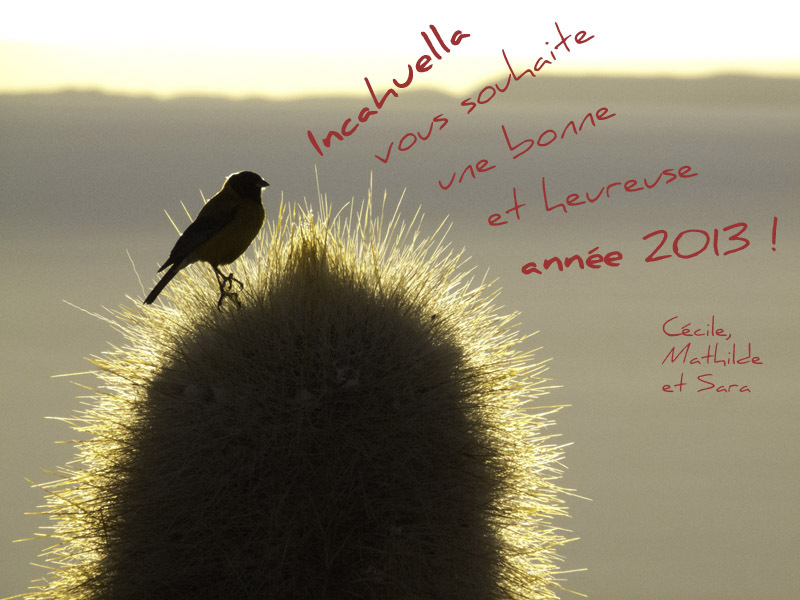 Even if our wishes don’t come from as far as 2012, Incahuella want to wish to all of you the best for 2013. Hoping that it will be for everyone synonymous of huge trips, nice people and funny adventures! And with a little more luck, it will also be the year of our book publication!